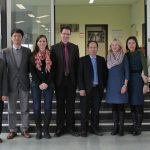 From 19 to 25 February 2017 were the director of the National Institute for Vocational Training (NIVT) Vietnam and the school management of Hanoi Vocational College of Technology (HACTECH) guest in Baden-Württemberg. 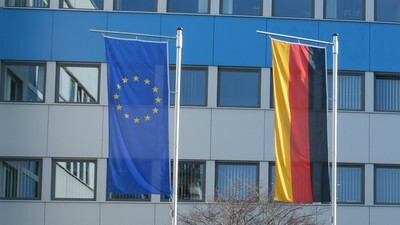 The study trip was planned and implemented by the Landesakademie für Weiterbildung und Personalentwicklung at schools in Esslingen. 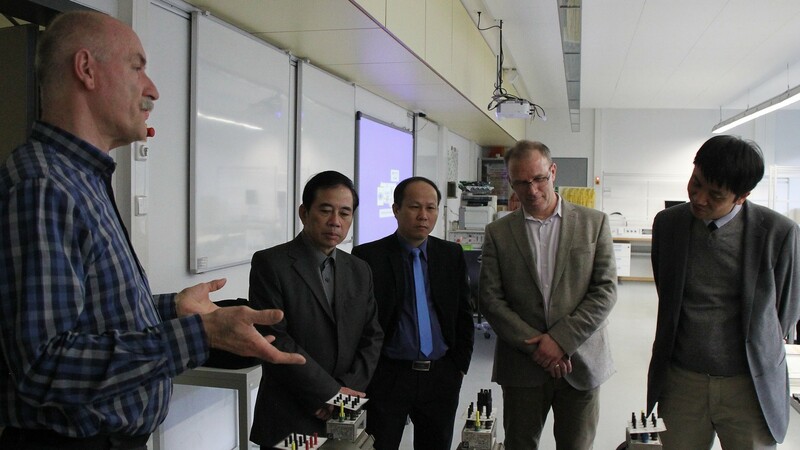 The participants had the opportunity to meet senior schools for electrical engineering at potential partner schools in Lörrach, Freiburg, Lahr and Karlsruhe. 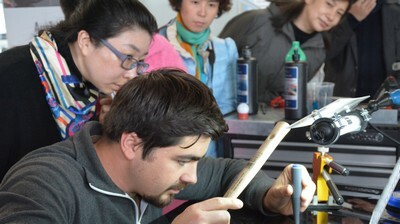 Through lessons and visits to the school workshops and labs, the guests were given a deeper insight into the technical training. 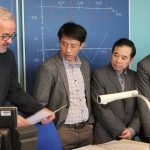 The Vietnamese delegation was able to gain an insight into the career opportunities of the graduates of the technical school for their typical work areas in companies, for example at Endress + Hauser GmbH in Maulburg and at Stöber Antriebstechnik GmbH in Pforzheim. 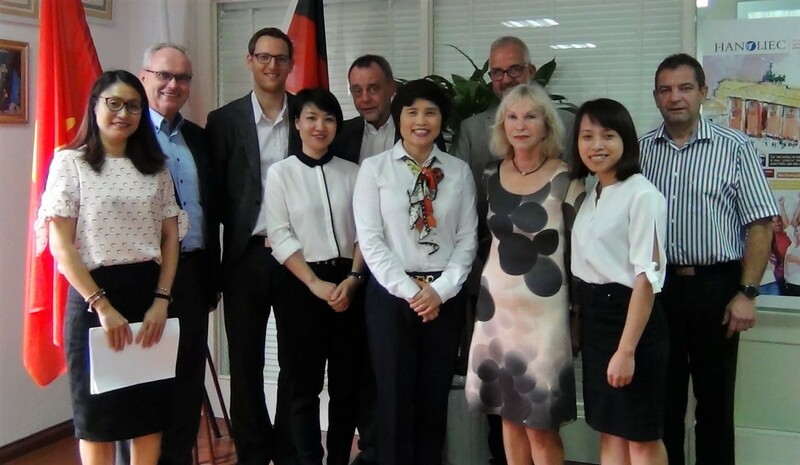 At the Ministry of Culture, Youth and Sport and at the LAK the vocational training system and the advanced teacher training in Baden-Württemberg were presented to the Vietnamese guests. In various workshops the other work packages of the project were planned and coordinated. The project partner SEPT works on the marketing strategy and plans the kick-off event in Hanoi. 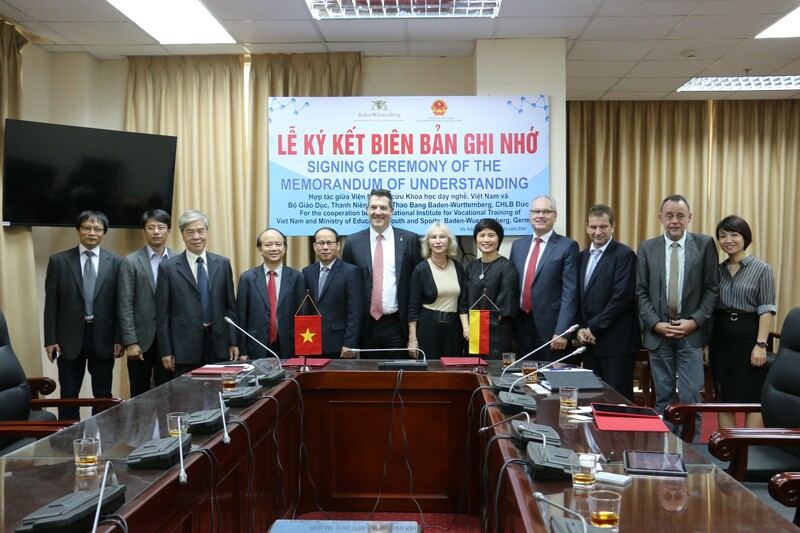 Together with the WMU, the quality management will be developed in April 2017 in a workshop in Hanoi. In September 2016 FiVe was happy to announce to welcome Baden-Württemberg State Academy for In-Service Training and Human Resources Development for Schools (LAK) as its new leading partner. FiVe, the German-Vietnamese vocational education export project, is now ready to start operation in Vietnam. 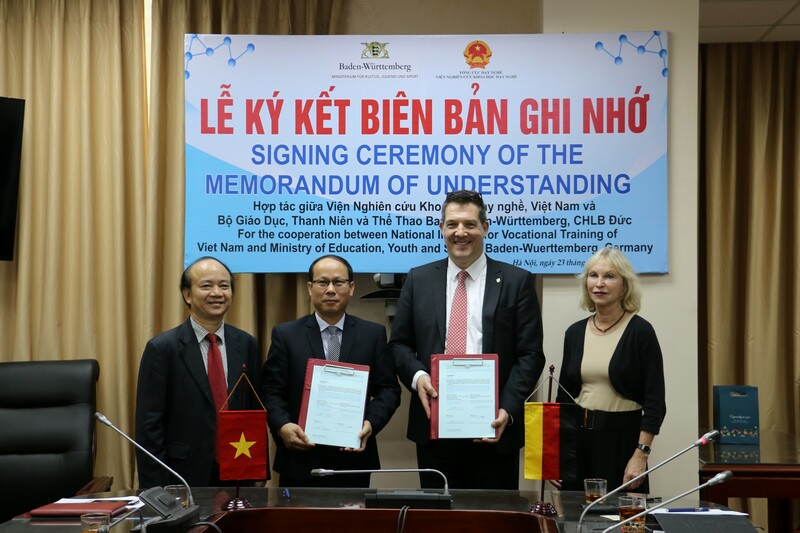 On the first jointly executed business trip to Vietnam the FiVe project team aimed to build a foundation for successful cooperation with Hanoi Vocational College of Technology (HACTECH), the Vietnamese professional education partner, by signing an cooperation agreement. 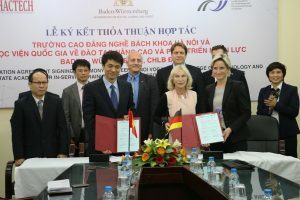 The joint signature ceremony between LAK and HACTECH was celebrated in Hanoi in presence of Minister Dr. Nicole Hoffmeister-Kraut, Ministry of Economy, Work and Residential Construction Baden-Württemberg. 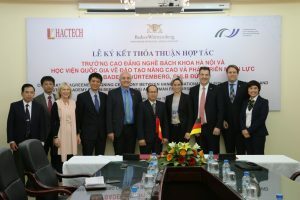 Beside the MoA between the German consortium of FiVe and HACTECH another strategical partnership was formed within the trip to Hanoi in November 2016. 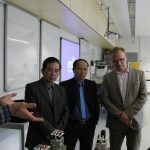 The National Institue for Vocational Training (NIVT) is a unit of the Ministry of Labour – Invalid and Social Affairs to manage the development of the professional education in Vietnam. 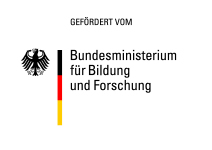 On a ministerial level, a memorandum of understanding was developed which appreciates the cooperation within FiVe and also encourages future collaboration. The MoU was signed by representatives of NIVT and the Ministry of Education and Cultural Affairs of Baden-Württemberg. 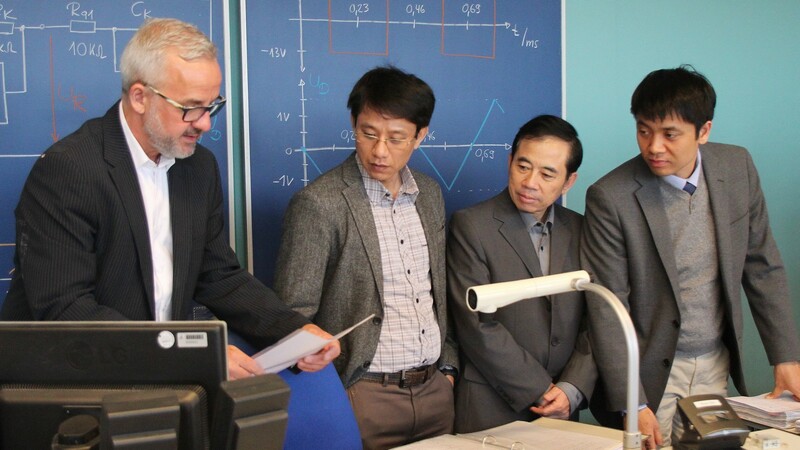 In a one-week workshop with the board of directors of HACTECH, the FiVe team developed a project schedule for a successful and sustainable export of senior vocational education to Vietnam. 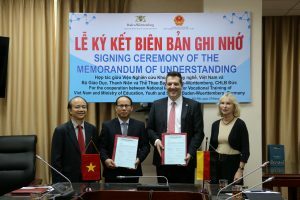 One of the key factors is the training for Vietnamese teaching staff before and during the implementation phase of the project. 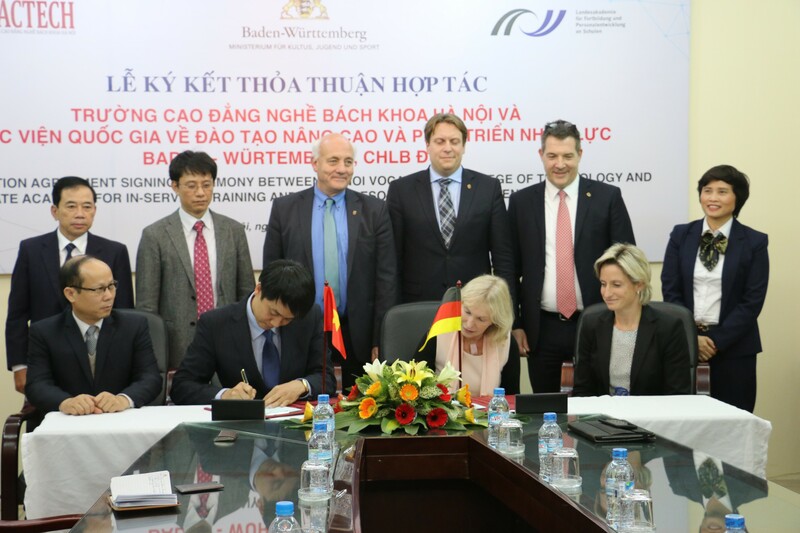 Through the financial support from BMBF, it will be possible to conduct training programs for Vietnamese teachers in Germany and in Vietnam. For the transnational work in education we have installed on the basis of Moodle a Learning Management System (LMS). Teachers can set the course content, the students are actively working with online documents and present the results of a.
Click on the logo to be redirected to our LMS! 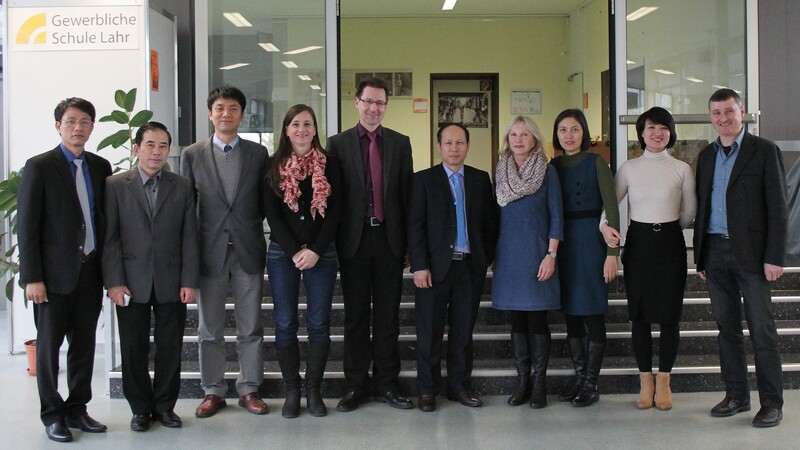 In January 2015, our project will start in the education exports for the construction of a school in Vietnam. 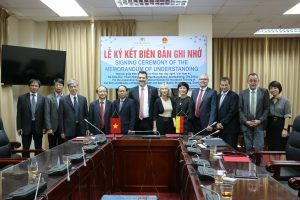 Together with Vietnamese educational institution and in cooperation with the business community, is a technical school in Hanoi. The training is realized according to German guidelines and conducts the test with an internationally recognized German degree.